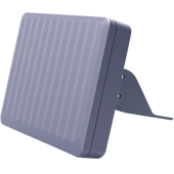 TBR-400 is a non-contact vehicle flow measuring radar designed for detecting single lane information, such as flow, speed, lane occupancy, car models,traffic congestion and other basic traffic information. TBR-400 can distinguish bus and car which can be used to detect the vehicel running in exclusive bus lane. it can also applied to detect the vehicle information of left turn lane or right turn lane in important traffic area.